You probably have a fair idea what it is. Nearly two decades after they stopped making it, Irish people continue to use quotes from Father Ted in everyday life and it continues to make an impact far beyond our shores. To illustrate that point, the sitcom created by Graham Linehan and Arthur Matthews has been voted in the top five British sitcoms of all time in a poll of 100 British comedians, with one of the show’s most famous lines also getting a nod at number three in the top five one-liners. 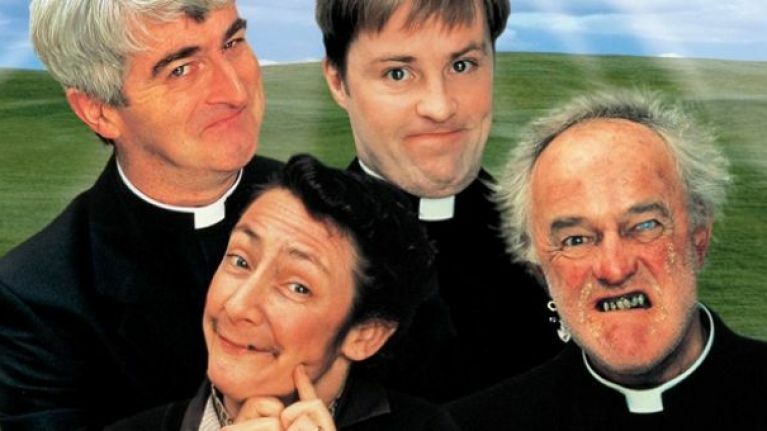 To address the obvious straight away, Father Ted aired on a British TV channel (Channel 4) and the majority of it was filmed in Britain, so while hearing it described as a British comedy might make some people uncomfortable, it’s undoubtedly eligible for these particular lists all the same. According to the Telegraph, 100 British comedians including David Baddiel and Alexei Sayle were polled about their favourite TV shows, characters, one-liners and more for the launch of We Have Been Watching on Gold, where comedians will watch and comment on some of the most well-known sitcoms from over the years. Father Ted came in at number of five on the list of the top British sitcoms behind Fawlty Towers, I’m Alan Partridge, Blackadder and The Office, while the line in the clip below (skip to 0:30) was voted as the third best one-liner of all time.